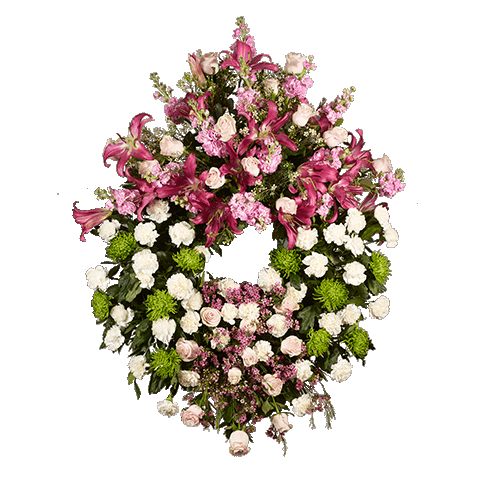 This wreath is composed of pink roses, white carnations, daisies, pink lilies, and wax flowers. It is an exquisite arrangement to show your condolences and can be delivered to the funeral, with a personalised touch. The wreath is consists of around 110 to 115 flowers and is 145 cm in diameter.